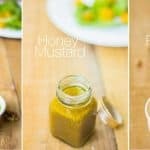 These three homemade salad dressings are super easy to put together, healthy and have tons of flavour. They last a few weeks in the fridge so you can store them and enjoy them everytime you want a salad. Move over bottled Mayonnaise and Thousand Island because there is so much more to salad dressings than these. 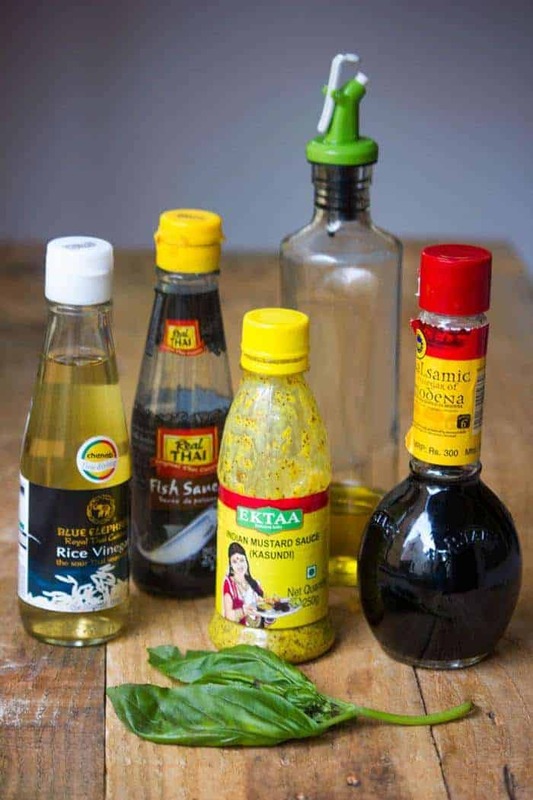 We are part of the pretentious food blogging community and today we will take a vow to ditch bottled stuff and learn how to make three super easy home made salad dressings. No don’t close the window just yet. Have I ever shown you something that you can’t easily do in your kitchen? These are my go-to dressings and have never disappointed me when I’m suddenly struck by the guilt of eating too much boozy chocolate ice cream before dinner. 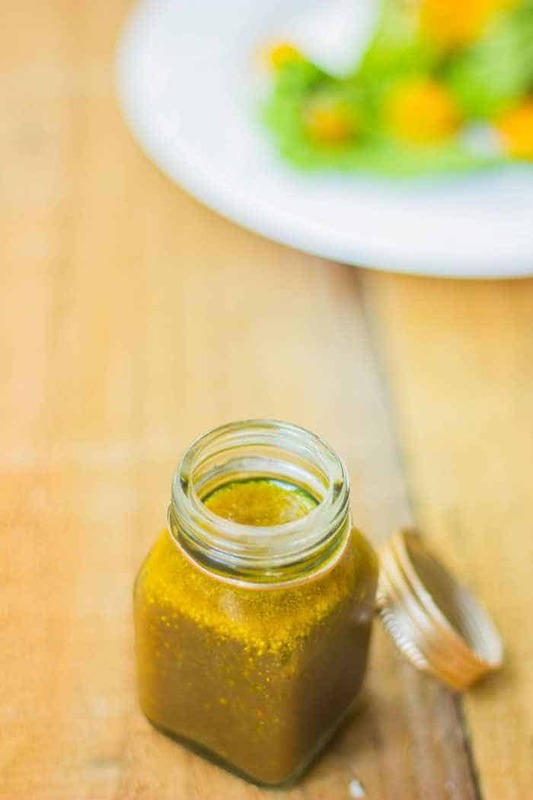 Today I have not one, not two, but three easy homemade dressings for you! Okay I admit that counting was a bit unnecessary but in my head there were drum rolls and rightly so- because this is a moment of celebration and these are finger-licking good. Especially the peanut sauce which I drizzle all over my noodle-cabbage-mango-carrot-coriander salad and then smother my face in. Or not. I’m not partial, but let’s be real – everyone has favorites! I have other favorites too. Like the Steve Madden shoes that I’ve never worn (too tall and wobbly),the pair of shorts that now have holes in them but I refuse to give up on, Denver’s old t-shirt which smells like him and I love to wear when he’s away on work, this chicken with caramelized onion that I always end up making when I’m home alone and these salad dressings. Now you know how much I love them? You will too. I promise. And if you try these out, I’d love to know what you thought about it. Connect with me on Facebook and Twitter. Also follow me on Instagram for more drool-worthy updates. Blend everything except the oil in a blender till smooth. Add the oil in a trickle and pulse a few times till mixed. Pulse everything together till smooth. Transfer the sauce to a pan and simmer on low heat for two minutes. Add more water to change the consistency to your liking. Add everything to a bowl and whisk till combined. Slowly add the oil while whisking continuously. Transfer each dressing into a jar and store in the refrigerator for up to 2 weeks. 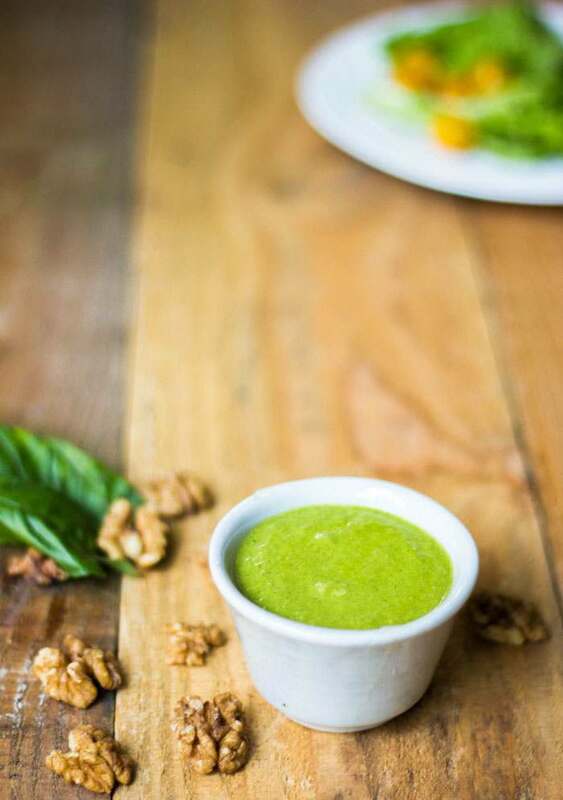 Each person likes their dressing a certain way so feel free to adjust the flavors to your taste. Hey A. They’ve never lasted for more than a week in my refrigerator. But I think they should be good for two weeks or so if stored in a sealed jar. All three dressings seem really yummy, especially the herb one. Was just wondering, how long would they keep for in the fridge?